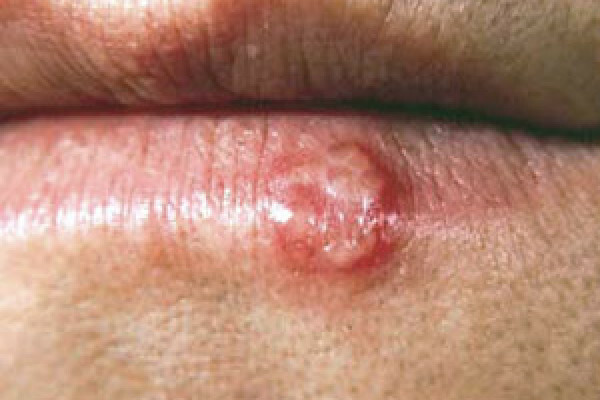 Between 60% and 80% of the adult population are infected with herpes simplex virus (HSV), the agent that causes cold sores and genital herpes. Characteristically, the herpes virus establishes a latent infection in the body. It "lies low" within the nervous system for the lifetime of the individual, periodically reactivating to produce a painful mouth ulcer or crop of blisters on the skin that can transmit the infection to other people, usually during kissing. There are drugs that can control herpesvirus infections, including the well-known agent aciclovir. However, these drugs treat only the active infection, they are powerless to prevent reactivation. Now a New Orleans team of scientists based at the Louisiana State University have found a way to tweak the DNA structure of the hiding virus, sending it to sleep so it cannot reactivate so readily. Writing in Science Translational Medicine, James Hill and his colleagues gave herpes-infected mice, rabbits and guinea pigs doses of a drug called tranylcipromine. This blocks an enzyme in cells known as LSD-1 (lysine-specific demethylase-1), which is involved in keeping genes in an active, readable state. Switching it off causes the viral DNA to be converted into a more tightly coiled form normally adopted by genes that are inactive. This has the effect of preventing the virus from responding to the signals that would normally trigger it to ractivate - like stress, skin injury or sunburn, menstruation or other forms of ill-health. Animals given the drug showed less severe initial herpes infections and subsequently dramatically reduced levels of reactivation. Compared with aciclovir-treated subjects, body fluid samples from 17% of which tested positive for viral DNA, amongst animals given tranylcipromine viral DNA was recoverable only 3% of the time. The good news is that tranylcipromine is already in use clinically and licensed for human use as an antidepressant, although in this setting it works through a different mechanism. However, the doses required to achieve the suppressive effects on herpes viruses were much higher than those used for treating depression, suggesting that side effects might be an issue. For this reason, scientists are developing compounds capable of targeting the LSD-1 enzyme specifically. Such a drug might also have uses beyond just cold sores too, because other members of the herpesvirus family, including the important human pathogen cytomegalovirus which causes severe infections in transplant and HIV patients, also uses LSD-1 to reactivate. The Hygiene Hypothesis Part 2: Will Whipworm Work? MODERATOR COMMENT - I'm leaving this post here - suitably edited - to deter other idiots who keep posting this tripe here; as you'll see, we've removed all the links and useful information and left merely your keyword-rich text, so you're going to have to work even harder to lure in poor people with your scams in future. Please stop posting this scurrilous rubbish.